"We believe in establishing lasting relationships with our customers by exceeding their expectations and gaining their trust through exceptional performance." Thanks for your interest in Arnold Snell Building. Please fill out the form below if you would like us to call you. 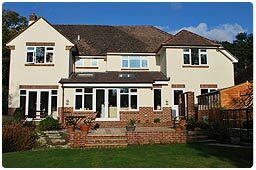 Arnold Snell Building Limited specialises in alterations, extensions and renovations on premium properties within the Dorset and Hampshire area. With over 20 years experience in the building industry we are able to provide a distinctive service combining skilled professional tradesman, committed project management and thorough communications. Our excellent reputation has been built upon listening to the needs of our clients and advising them, to achieve the very best end results. As a result of this, the majority of our work comes from recommendations from previous clients. We believe in consistently producing quality work and are therefore members of the building industry’s largest trade organisation The Federation of Master Builders. A complete refurbishment of the kitchen & dining room plus master bedroom transformation with a large walk-in wardrobe and stunning bathroom with wet room. 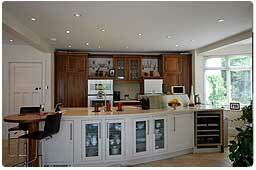 In a short space of time, a larger kitchen and dining area was created with a single storey extension. 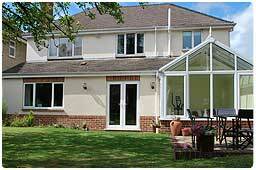 A second extension that year created a fourth bedroom with en-suite. 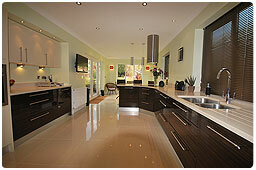 The brief was to create a spacious luxury kitchen, dining area opening out to the back garden and swimming pool. Once this was completed the client requested a transformation to their family bathroom. The kitchen and dining room were merged into one room to make a large kitchen breakfast room, with a luxury kitchen fitted to create the perfect area for eating and socialising. 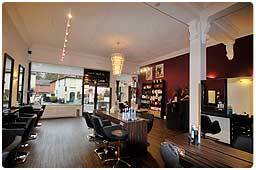 The client wanted a complete refurbishment to their hairdressing salon. The work needed to be stripped and refitted to the highest standards within 2 working weeks to minimise loss of business. TThe refurbishment provided additional bedrooms and larger living areas. 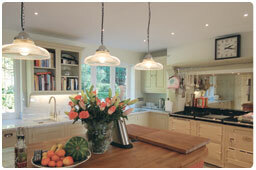 The extension provided a stunning kitchen leading to a patio area. A new detached garage was also built. © All photos show properties which Arnold-Snell Building have completed building works on and are copyright protected.